Dr. Frank Calder was the first status Indian admitted to UBC; first to be elected to the Legislature, serving for 26 years; first to Canadian Parliament; and first appointed a Minister of the Crown. He is a tireless champion of equality for Aboriginal peoples. 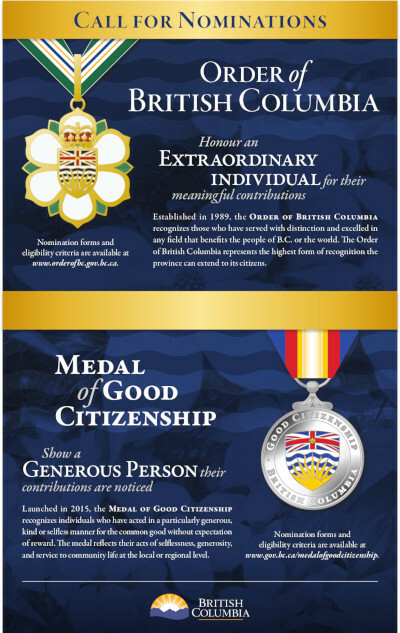 He founded the Nisga’a Tribal Council, the first established in B.C. He served as its president for 20 years, then as research director and consultant since 1974. 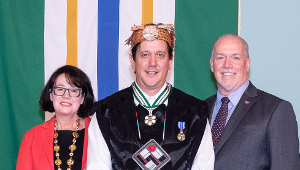 He was named Chief of Chiefs, an unprecedented tribute by all four Nisga’a clans. 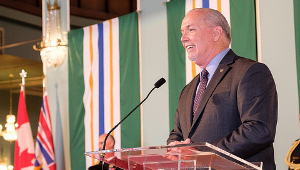 Yet it is for his role in the Nisga’a quest for a just settlement to the land question and the 1973 Supreme Court of Canada decision that bears his name-Calder versus Attorney General of BC-that Dr. Calder is best known. After the BC Supreme Court and the Court of Appeal both rejected the claim, the Nisga’a appealed to the Supreme Court of Canada. At that time in Canadian politics, this was a controversial step that risked a profound setback for all Aboriginal peoples. This landmark decision established, for the first time, that Aboriginal title exists in modern Canadian law. The Calder Case provided the legal foundation on which the Nisga’a Treaty was ultimately negotiated, and for the B.C. treaty process to be started after 130 years of opposition by provincial and colonial authorities. This decision has reverberated nationally and internationally in current Aboriginal land claim settlements in Canada, Australia, South Africa, New Zealand and other countries. 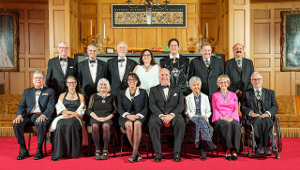 Dr. Calder has made an enormous contribution, as a peaceful warrior, as Chief of Chiefs, to the noble purpose of creating a society made up of peoples who have chosen freely to live and work together in a new relationship based on trust, respect of the land and its creatures, justice, and the rule of the law. 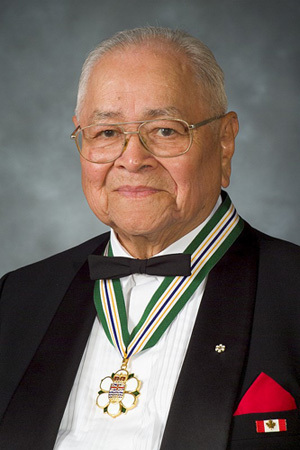 Among his awards and honours are: inductee to Canada’s First Nation’s Hall of Fame; President Emeritus, Nisga’a Tribal Council; Aboriginal Order of Canada; Officer, Order of Canada; Doctor of Divinity; Doctor of Laws; Licentiate in Theology; and National Aboriginal Lifetime Achievement Award.